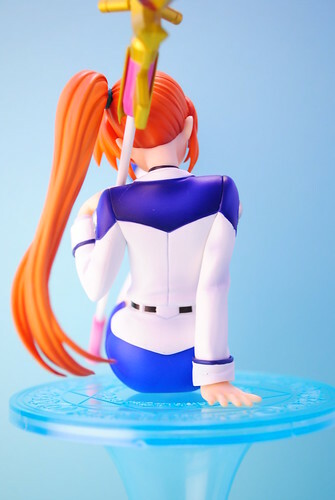 Good Smile Company's Takamachi Nanoha Instructor Ver. This lovely figure was an unexpected acquisition although it was an unplanned expense I'm so glad I got my hands on her. 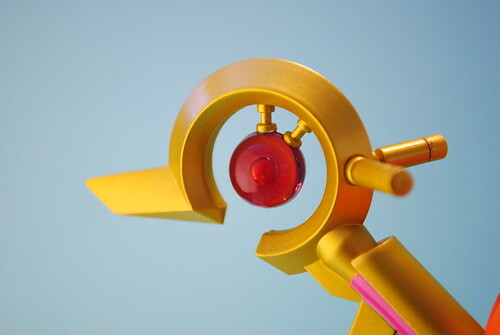 A long time ago I saw this figure on one of Danny Choo's desk pictures. This was of course long before I started collecting PVC figures making her one of those older releases I could not get my hands on at the time. I was ecstatic when Hobby Search listed her during one of their restocks. 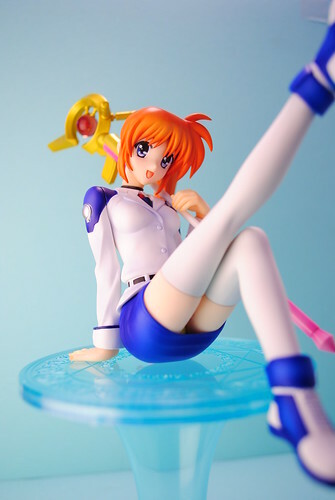 I bought her without a second though, I'm sure glad I did as immediately after I bought Nanoha she went out of stock. 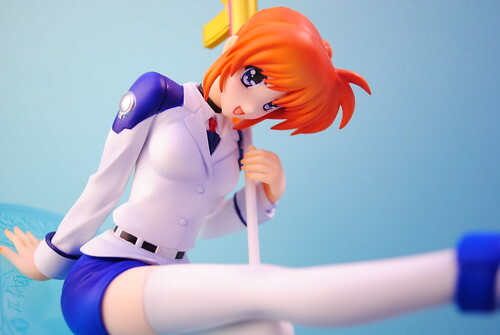 I really, really, really like Nanoha. Quite unluckily for me I missed out on her previous releases from Alter and GSC so finally getting one of those figures makes me really happy. Overall I'm pleased with this figure, the quality in the sculpture and paint job is what I come expect from GSC based on their previous figures I own. One of the things I look for when I buy figures is the accuracy of the face compared to their anime or manga counterparts. 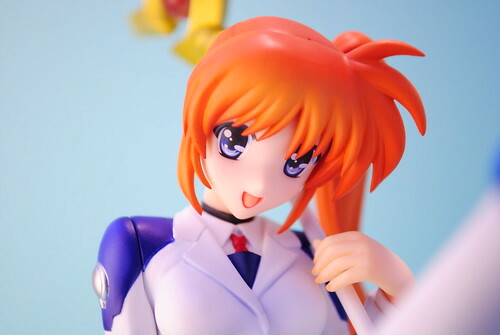 Nanoha's smiling face looks the part and at least to me captures her personality quite well. 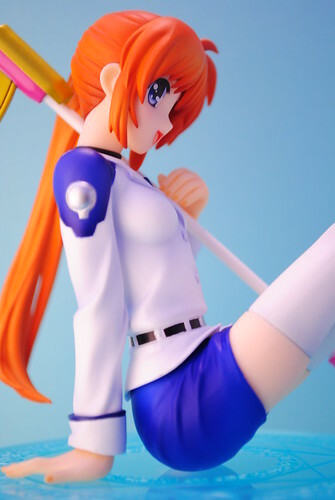 Although Nanoha's instructor uniform has a simple design GSC added some nice details through the wrinkles and shading found throughout the figure. 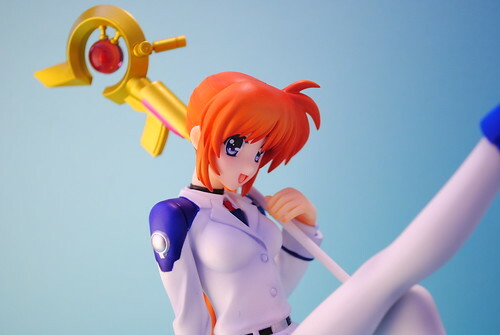 Nanoha only came with one accessory, her well-known intelligent device Rising Heart. Rising Heart looks exactly as it did in the anime. 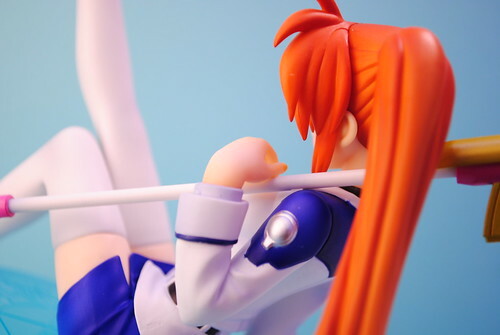 The bottom part is removable allowing it to slide into place and attach to Nanoha's shoulder with a peg. 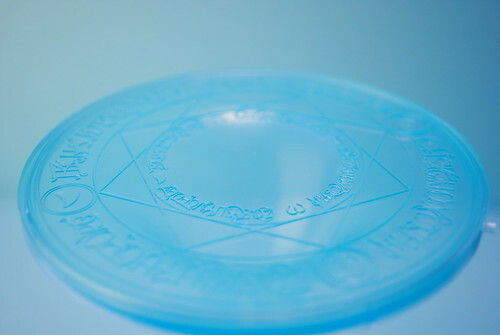 Nanoha comes with a circular base engraved with the magic circle that appears when she uses her magic. This is the where I have my one problem with this figure. 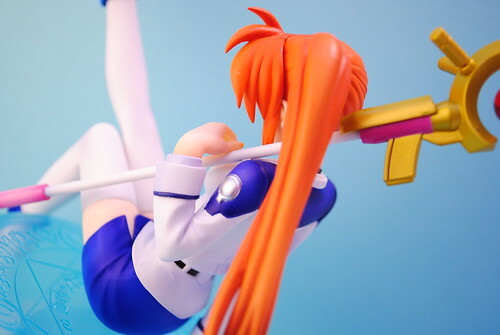 Nanoha is in no way, shape or form attached to the base, meaning a simple bump or grace might send her flying. 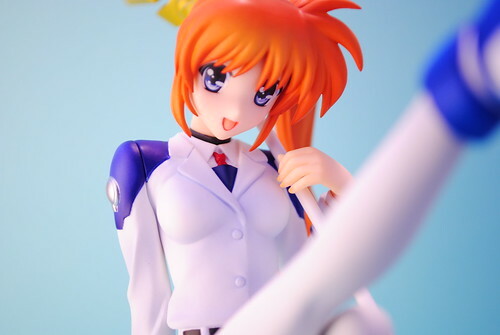 With this figure, Nanoha is the character that I have the most figures of with two scaled releases, two figmas, a dollfie dream and one more scaled PVC figure incoming. Poor Haruhi was finally beaten in terms of quantity. 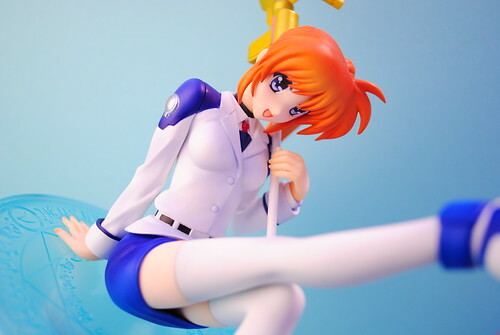 That aside, if you like Nanoha or Good Smile Company I suggest picking this up if you find it for a reasonable price.